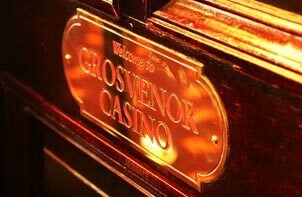 Grosvenor Casino Manchester Whitworth is located in the Excalibur building on Whitworth Street and offers Roulette, Blackjack, slot machines with £4,000 jackpots and Electronic Roulette as well as some of the best cash poker games. The casino also boasts excellent Experience packages for both newcomers and experience players. The casino is perfect to catch up with friends over a drink at the bar, or to simply sink into one of the lounge chairs and relax between games. Watch the latest sporting events on large screens and have a great evening at the casino. Grosvenor provides valet parking service is available to registered customers. The Grosvenor is open 24 hours a day, 7 days a week. The restaurant opens at 7pm and closes at 1am, 7 days a week. The bar timings are from 10am till 5:30am. As well as the A La Carte menu served in the restaurant there is a full bar menu available at the casino. Breakfast is served between 7pm and 4am for only £2.50 per person. The restaurant has special offers such as the 2 course meal offer for £8.95. If you fancy something a bit different, ask the steward about the daily specials. Grosvenor has great experience packages for their members starting with the Straight Flush offer which is a steal at £20 per person and is a great way to get introduced to gaming. The Full House Experience is the answer if you are in a group looking to have a party and is priced at £30 per person for a minimum group of 4. If you are a group of 10 people or more than the Royal Flush package is the right one for you at £20 per person. The casino hosts special events regularly including packages for poker players as well as promotional events on different days of the week and much more.